We can help you choose the right battery for your vehicle and lifestyle. Our staff can safely and professionally install your battery and get you back on the road. 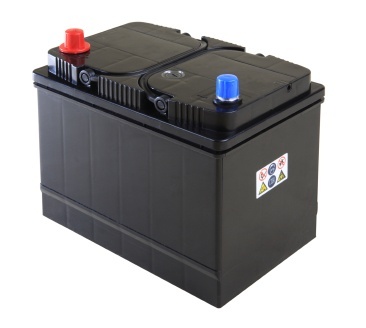 Your vehicle's battery primarily helps to start the engine. However, it also stores energy generated by the alternator, and runs the secondary electrical systems or additional components in your vehicle. Batteries are a huge part of modern life in Eastern Nebraska. I mean, how many battery chargers do you have? Of course, our purpose here is to talk about your car battery. When people come into our Bellevue NE service center and need a new battery, they're really not that happy about having to spend the money. But the fact is that 70 percent of batteries don't make it for 4 years. There are some things that you can do to extend the life of your battery. First, keep it clean. If you see it getting dirty or greasy, let us know at Yeck's Tire & Auto Repair and we can clean it off. A dirty battery runs hotter and that shortens its life. If your battery terminals are corroded, let us take a look at that too. We can clean them, and if the corrosion has gotten into the battery cables, we can replace them. Because we often take short trips around Bellevue with lots of stops for errands, our batteries can end up not getting fully recharged just by driving around. That also shortens battery life. You can hook up a good quality automatic battery charger at home from time to time. We recommend charging once a month during hot months and every three months during cold months. That's a good question for Bellevue drivers. All batteries wear out and need to be replaced – but some are replaced before their time. Look, if your battery is dying and you need a jump-start, it could very well be that you have a bad battery. But Bellevue drivers should have Yeck's Tire & Auto test the battery first to see if it's actually bad. The problem could be parasitic drain or a bad alternator that's not properly charging your battery. And Bellevue drivers in this situation also need to have their service advisor check their alternator and have it tested. A surprisingly high percentage of “bad” alternators brought into Yeck's Tire & Auto in Bellevue are actually just fine: the problem is a worn serpentine belt and/or belt tensioner. 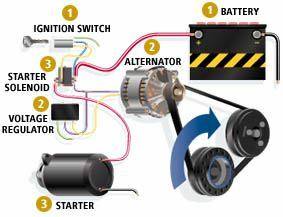 If the belt is slipping, it's not spinning the alternator properly so it can't fully charge the battery. Hopefully, Bellevue drivers can see that a dead battery can be the result of a chain of events: a worn serpentine belt, a worn belt tensioner, a bad alternator or a bad battery. If you don't check the belt, tensioner and alternator, you can just end up replacing batteries that are still good. Talk to your friendly and knowledgeable pros at Yeck's Tire & Auto . That brings us back full circle to when batteries do fail. There's a chemical cycle that takes place inside your battery: the battery is discharged when you start the vehicle and is recharged by the alternator when you drive. Short trips around the Omaha area with frequent stops and starts may mean that your battery is never fully recharged. When a battery isn't fully charged, parts of the battery harden and are no longer available to “store” electricity. Over time, your battery just can't hold enough charge for the needs of your vehicle. This is demanding on your alternator as it tries to keep up, causing it to wear out prematurely. Batteries last longer in colder climates and wear out faster in warmer NE climates. We want to remind Bellevue drivers that, on average, 70% of batteries fail within four years. Many NE automotive experts recommend replacing your battery every five years. This will reduce the chances of being stranded on a local street with a dead battery as well as prevent undue wear on your alternator.